The Seaport’s various wellness destinations, including Equinox, SoulCycle, CorePower Yoga, and more, innovative co-working and civic spaces, such as District Hall, the ICA, and the Society of Arts and Crafts, and bustling restaurant scene, all have the potential to fill your schedule with activities that provide a well-rounded lifestyle. 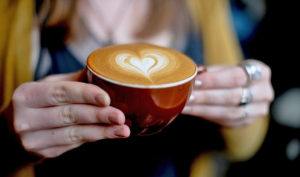 If you like to keep busy and are a coffee lover, you are in luck – the Seaport has multiple destinations for nearly every coffee-inspired occasion: from classic lattes and espresso martinis to coffee bean protein shakes to refuel after a workout. Below is a list of some of our favorite coffee offerings close to PIER 4 that will keep you energized while you are on-the-go. The coffee at Barrington Coffee Roasting Company is as pretty as it is delicious. Latte art isn’t an extra addition – at this coffee shop, it’s part of the process, with foam designs including leaves, feathers, and hearts, adding a whimsical element to your morning pick-me-up. 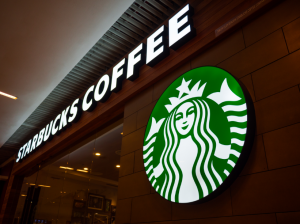 Reliable and delicious, Starbucks has three locations in the Seaport, perfect for the days when you want to follow your classic coffee routine. 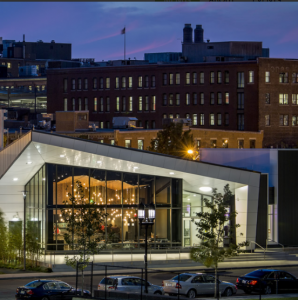 Located within District Hall, the Seaport’s public innovation center, Brew Café offers a modern take on the classic coffee shop with its welcoming environment that is designed for people to refuel, collaborate and brainstorm. If you crave a change of scenery from the office or working from home– and a warm cup of coffee – this shared collaboration space is perfect for you. 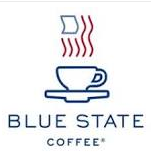 Blue State Coffee is a socially-conscious café that helps you give back while you enjoy a latte, since a portion of each sale is donated to local non-profits, including Horizons for Homeless Children, the Greater Boston Food Bank, and more. 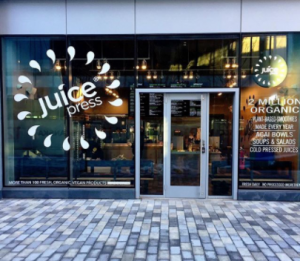 This juice bar and smoothie shop is the perfect place to recharge after you exercise. We recommend the Vanilla Protein smoothie with coffee beans for an extra burst of energy, or the Matcha Green Tea to help maintain your sense of post-yoga calm. 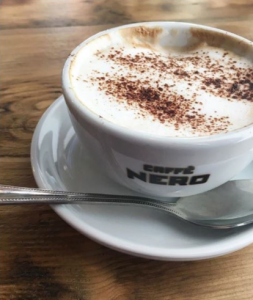 Specializing in Italian espresso drinks, Caffe Nero is known for its inviting atmosphere and beautiful décor. Stop by for a warm and frothy latte and lounge in their oversized armchairs while catching up with friends. 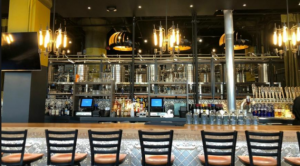 One of the Seaport’s newest additions, Hopsters Brewing Co. offers a brewery and a restaurant, as well as the opportunity to brew your own craft beer. If you are looking for a unique Seaport experience to add to your weekend plans, sample their coffee-based stout or settle in with friends to brew your own. Committee is known for its craft cocktails such as their signature Spiked Nescafe Frappe – made of espresso and vodka and brimming with foam. Enjoy this as a dessert after unwinding over delicious cuisine. 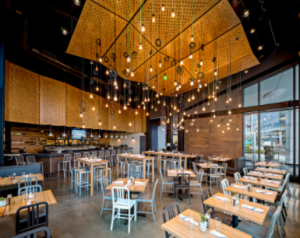 Seaport’s trendy retail spots, renowned restaurants and cultural destinations are bound to keep you busy. 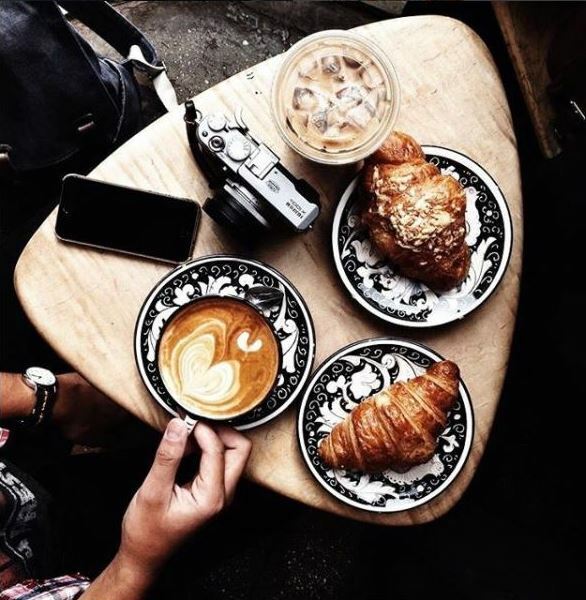 If you love coffee, having access to all the above shops and destinations near PIER 4 will keep you full of energy and ready to enjoy all the neighborhood has to offer.